Chief of detectives Rick Ryan of the Putnam County Sheriff's Office said barring any new developments they were not planning to interview Overstreet again after this arrest. He has been questioned in the past but not called a suspect. I didn't think JO was involved, he was only a scapegoat. I hope they still have Misty in her lonely little cell, no contact with other inmates, no one to call and the only info she gets is to hear the news. Wonder who's filling her comissary with money now. Tommy may still be helping her and letting her call but they are poor too and can't afford it. I wouldn't want to be on the phone with her either. I hope she pulling her hair out one by one! I bet she's the type who can't stand to be alone. Overstreet is toying with Law Enforcement by using his myspace page. "If you don't remember it, it don't count"
The "cross laying on top of the gun" symbolizes killing someone you love. The book turned to the page entitled "punishment" gives the reason. I keep changing my mind about JO's involvement. Now I'm leaning towards that he is involved. How stupid that clan is. To know you're under scrutiny and this one has the audacity to grow pot. Crazy. I have always thought he did drive the van that night. Nashville police raid home where man was questioned months ago in Haleigh Cummings case. NASHVILLE, Tenn. - Authorities in Nashville have conducted a police raid on a home that was also on the radar a few months ago. Officers searched the house after receiving a tip, and investigators found what they believe to be stolen goods and narcotics. Two men at this home are now in police custody. Last April, authorities traveled from Florida to question a man, at this house, in their investigation of a missing five-year-old girl. Haleigh Cummings vanished from her home last year. The man questioned in Nashville says he has nothing to do with her disappearance. Florida officials have not identified a suspect in the missing girl's case. They just cannot stay out of the Putnam Graybar Inn! It must be a nice jail, good food, nice guards...they all seem to love being there. 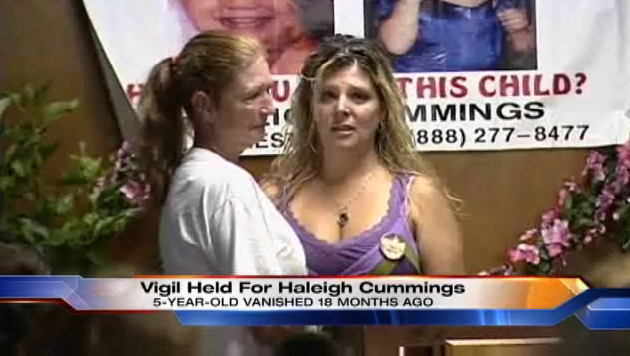 PUTNAM COUNTY, Fla. -- Eighteen months ago Tuesday is when the northeast Florida community learned 5-year-old Haleigh Cummings had vanished. 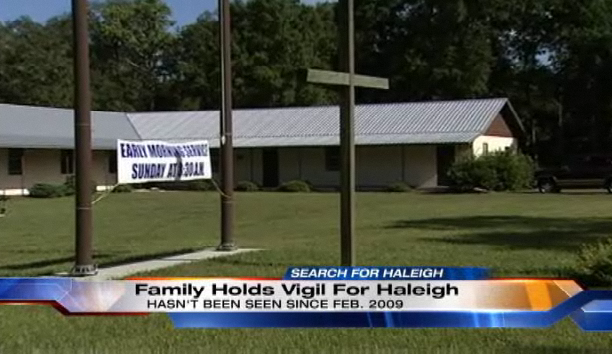 Family and friends of the girl who disappeared from her Satsuma home in February 2009 were set to gather Tuesday night for a candlelight vigil, still hoping Haleigh will be found alive. Despite their hopes, investigators said in April they are considering the case a homicide investigation and no longer a missing person case. 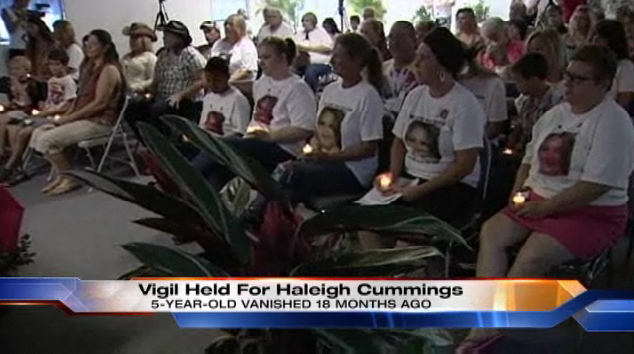 Haleigh's name has returned to the headlines repeatedly since January when her father, Ronald Cummings, his ex-wife and the last person known to see the girl, Misty Cummings, and Misty's brother Hank Croslin Jr. were all arrested on drug trafficking charges. Croslin was recently sentenced to 15 years in prison. Misty Cummings' cousin, Joe Overstreet, was arrested Sunday in Tennessee on federal drug charges. He was visiting family in Satsuma when Haleigh disappeared. Despite all of the attention placed on Haleigh's family, no arrest has been made in her case. Jennifer Bauer is attending the vigil and will have complete reports on the local station beginning at 6 p.m.
tiny 4 logoChannel 4’s Jennifer Bauer is attending the vigil and will have complete reports on the local station beginning at 6 p.m.
That cursor JO has implemented on his myspace shows how much class he has, which is none. It is my opinion based on his appearance only, that JO is disturbed, perhaps psychotic.